The 2019 Santos Tour Down Under and Santos Festival of Cycling will be held from 10-20 January 2019. 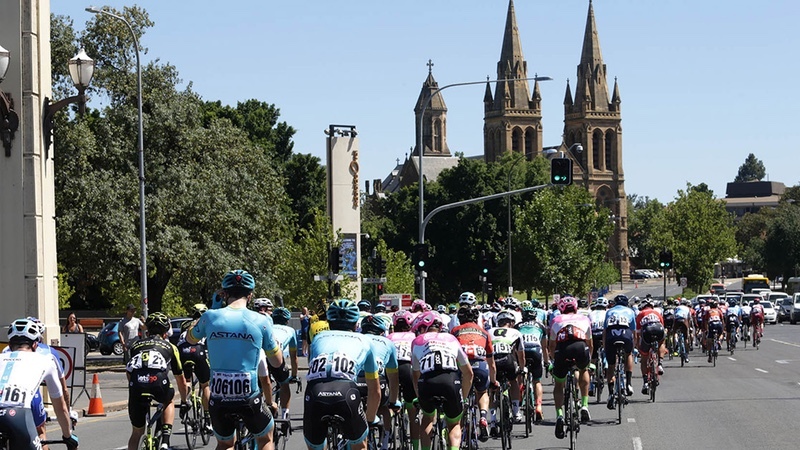 The 21st edition of ‘Australia’s Greatest Cycling Race’ will take the UCI WorldTour peloton through Adelaide and its surrounding regions, with the routes scheduled for announcement later this year. The men’s race will take place over its traditional six-day period, commencing Tuesday 15 January and concluding on Sunday 20 January. The Santos Women’s Tour Down Under will open the event from Thursday 10th to Sunday 13th January (subject to UCI Management Committee confirmation). The women’s and men’s races will crossover at the traditional People’s Choice Classic on the first Sunday of the event. More information on race routes and travel itineraries, as well as official confirmation on the dates for the women’s race will be released later in 2018.